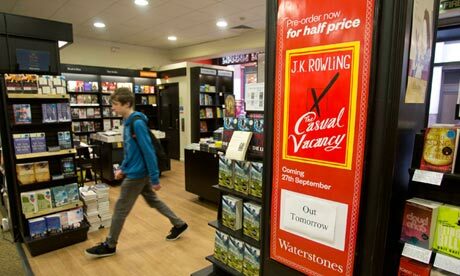 Allison Pearson says that ‘in ‘The Casual Vacancy‘, JK Rowling bewilders her fans with an uneven, often harrowing book.’ The mega-famous Rowling seems to have gone from Potter to potty — potty-mouthed, that is, given that there are actually dirty words (!) in the new book. I like what Rowling told Ian Parker in The New Yorker, when asked if children wouldn’t be shocked to read a book by their favorite writer that drops the f-bomb. Rowling said: ‘There is no part of me that feels that I represented myself as your children’s babysitter or their teacher…I’m a writer and I will write what I want to write.’ Good for huh. Should Smoking Be Banned In Kid Lit?